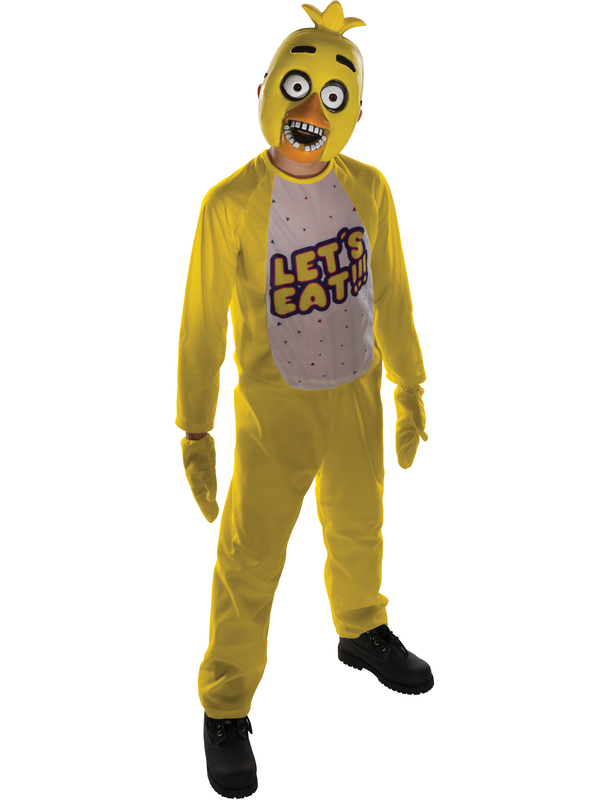 Don't mess with a chick in this Five Nights at Freddy's Tween Chica Costume. She is one of the main antagonists in Five Nights at Freddy's, a game where you must stop crazed animatronics from catching you. This outfit is a single piece jumpsuit with a yellow body. There is a bib attached with 'Let's Eat!!!' printed across it. You will also receive a pair of matching yellow mittens along with a character mask showing off Chica's face to complete the look. Watch yourself in there, anyone in the Chica costume is bound to try and scare you. It is perfect to wear during Halloween or at video game conventions to have some fun with everyone. Take a look at some accessories to see what else you can add.